Here are a few easy food swaps that will help you save hundreds of dollars in a year on groceries. Swap legumes and tofu for meat Doing this for one or two meals a week will help the savings really add up. Breast isn't always best Chicken breasts are lean and ready to cook - but expensive. Why not try boneless, skinless chicken thighs? Just as healthy and lean, but cost less. 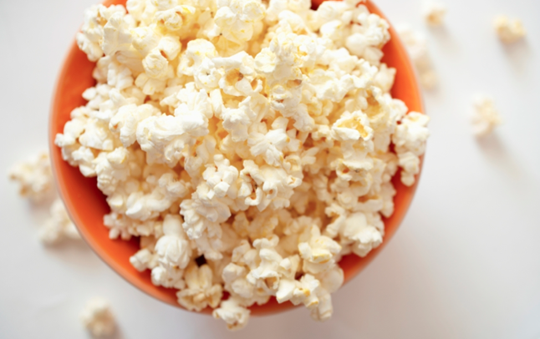 Pop your own It's easy, cheaper and healthier to pop your own popcorn. Skip all the additives and DIY! Frozen not fresh Frozen vegetables come pre-chopped and ready to use and are just as good for you as fresh vegetables. Best of all, they are cheaper! Save time chopping too. Shop seasonally Buy oranges not strawberries in the winter and do your bit to save the planet along with the hit on your wallet. Shop strategically Organic is good, but it's not necessary for a number fruits and vegetables, such as bananas, that have been shown to have very little pesticide residue. Buy dry beans Canned beans aren't very expensive, but dry beans cost even less - especially bought in bulk. Freeze what you don't use so you have what you need on hand for next time you need them.